Government – There is a constant struggle within the Department for Energy and Climate Change (DECC), and between it and the Treasury and the far right. Climate doubters occupy senior posts in DECC (Ed Milliband’s creation). The Energy Bill is good in parts. The new Green Bank is investing for example in anaerobic digestion (AD), but it seems is only interested so far in big projects. Green loans are on the property not the person, so there is uncertainty regarding the risk, making house moves more difficult, coupled with fear that the repayments might evaporate. The renewables industry and the CBI are seriously unhappy at the deliberate discouragement of renewables (eg the FITS and insulation fiascos). ‘The Carbon Bubble’ explains why renewables are discouraged in many ways, blatantly and surreptitiously. Biomass – anaerobic digestion (AD) Sustainable Youlgrave’s £50k study majored on a 20 farm AD plant at Friden that is in limbo, because of the Park’s intransigence. We note that Derbyshire County Council (DCC) has recorded the need to treat biomass as a resource, not a waste. Taking our lead from the authorities, the best prospects are a farm-based AD plant and a small plant for the village, currently being researched. Biomass – wood Sustainable Youlgrave didn’t have the resources to develop a sustainable wood chain and the use of wood in small combined heat and power plants (CHP). A CHP plant would qualify for the recently announced heat incentive – see below. Sales of wood burning room heaters and boilers are still rising. A CHP plant could be appropriate for the eight new social houses at Conksbury, but the capital funding doesn’t allow for renewables. They have to be self funding, with the help of feed-in tariffs and renewables certificates. Deliberately over complicated? Air and ground source heat pumping (ASHP & GSHP) – Both qualify for the Renewable Heat Incentive (RHI). Installations after July 2009 can qualify. RHI will (later this year) pay a few pence for each kW generated. A two-unit ASHP plant is being installed at a large house in Middleton, making it the 4th in our valley. Solar – feed in tariffs (FITs) – Some in the industry insist that all is well, but the FIT has been reduced more than the costs have fallen. The infant industry has survived the earlier fiasco, but the earlier enthusiasm has taken a knock. Any house with a suitable roof or garden space should seriously consider up to 16 panels = 4kW. All public buildings should be economically viable – perhaps on the rent-a-roof basis, in which no capital is needed. On my travels I see a few bigger installations on farm roofs and in fields. Perhaps the 40 farms on our database should be canvassed, and public building owners reminded? Any farm or factory with big modern buildings should seriously consider investing. Wind – There’s a test case for 2 no. 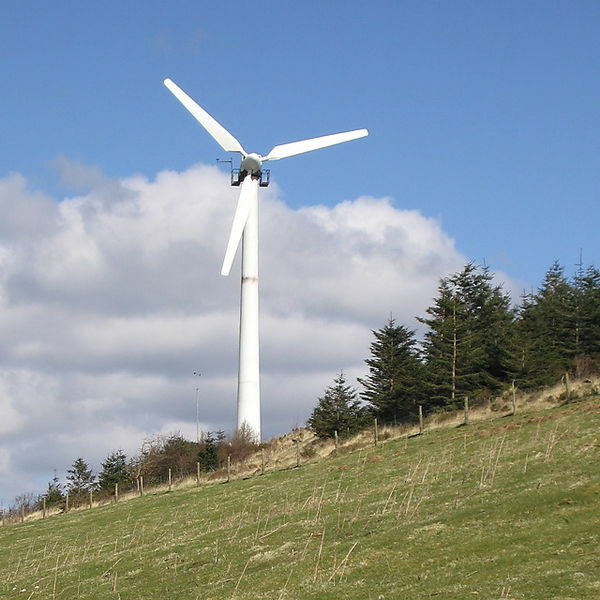 50 kW (60ft, tree height) windmills at the Peak’s biggest dairy farm, at Parwich, to meet the farm’s needs only. The Park’s CEO spoke in favour of machines up to 50kW on radio. Many influential members didn’t agree, but the excellent news is that the turbines were approved – on the chairman’s casting vote! There are a dozen farms in Sustainable Youlgrave’s area that would justify smaller machines (5 to 20 kW). Any farm with wind above 4m per second should seriously consider investing. Conclusion – I suppose the political message is that the Lib Dems have failed dismally to deliver the renewables commitment in the Coalition Agreement. It will all continue to be kicked around in the shrubbery until the next election. Our best hopes for change are a Green MEP for our region and, probably, a Lab/Lib coalition, with room in its hearts and minds for advice from Green and green-minded MPs. This entry was posted in Agriculture, Climate Change, Derbyshire County, Energy, Environment. Bookmark the permalink.